2019 will be yet another eventful year for Gothenburg Roller Derby. In Febuary, went to Stockholm to challenge Royal's B-team. When the spring sun finally starts to bring some warmth in the beginning of April, we get to enjoy the Swedish Roller Derby Championships here in Gothenburg. Dock City Rollers, Västsvenska Roller Derby-sällskapet (The Roller Derby Association of Western Sweden) and Gothenburg Roller Derby proudly present a weekend full of top notch derby. We can't wait for everyone to get here, players and audience alike! 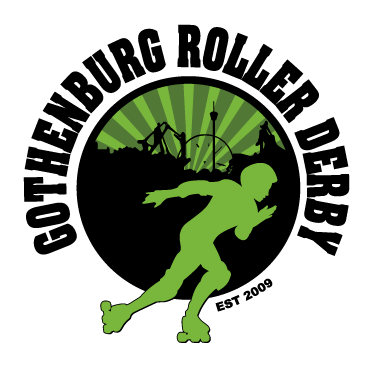 We can never get enough of derby here at Gotheburg Roller Derby, so the next game will take place the following weekend when Central City is coming over to play against us. By the end of May, we will be packing our skates and heading to Madrid for more action. We are currently working hard to make another trip abroad happen in June, when we will play a WFTDA-approved game. Last, but definitely not least, we are celebrating our first 10 years as a derby association this year! Cheers to a decade of the best sport ever!